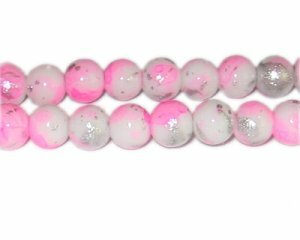 These are 10mm Hot Pink SilverLeaf-Style Glass Bead, approx. 21 beads on an 8" string. Just made my 3rd order. the beads are beautiful and best bargin I have found.